Siborg Systems Inc will showcase LCR-Reader-MPA Digital at ‘Electronics Manufacturing Korea 2019(EMK 2019)’ which runs from May 15th to 17th in COEX. Siborg Systems Inc is a renowned digital multimeter manufacturer ater they first presented Smart Tweezers LCR-meter in international markets in 2005. Currently, the company supplies several different models of devices of that type, which are lately referred to as tweezer-meters. 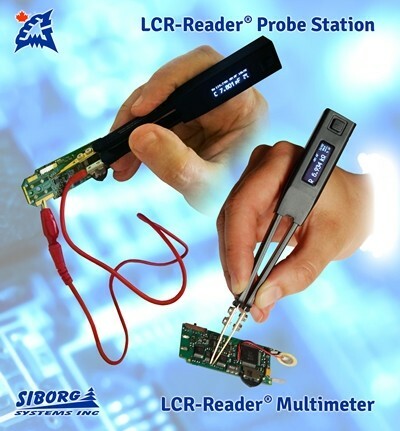 In 2014, Siborg launched a new line of devices: LCR-Readers. 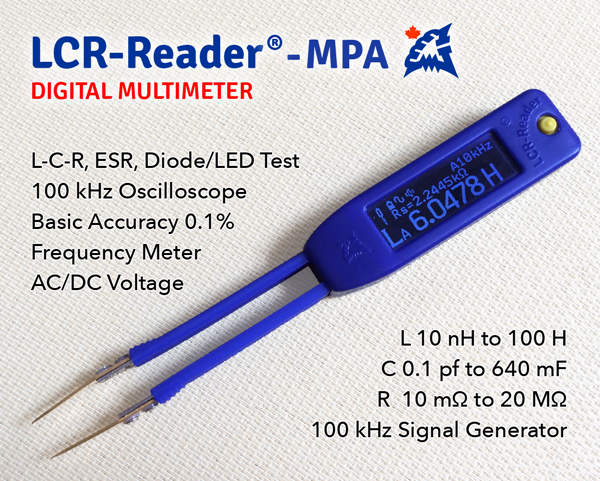 The latest model, the LCR-Reader-MPA, is a leader in the tweezer-meter market. It offers a record high basic accuracy of 0.1% and record wide ranges as well as unsurpassed number of test functions. “This is our first public presentation of a recently completed new design, and we hope to see a good response from Nepcon Korea attendees,” says Michael Obrecht, director of Siborg Systems Inc.
LCR-Reader-MPA (Fig. 1), easily grasps and holds components as small as 0201 size, either mounted or loose. The device automatically determines the type of component and best test parameters before measuring it with a 0.1% basic accuracy. The device weighs slightly more than 29 grams and is small enough to carry in a pocket. The bright backlit LCD with large symbols allows users to read the screen easily. The MPA is easily navigated using the 4 way-joystick. The LCR-Reader-MPA offers users a wide range of test features and modes, making it the ultimate testing device. In addition to L-C-R and ESR measurements, they include Oscilloscope mode, LED/diode, short/continuity test, AC/DC voltage measurements, Frequency measurements, Signal Generator and more. One of the main advancements of the device is the ability to use a 100 kHz test frequency. This allows for a 0.001 pF resolution for capacitance and 0.1 nH for inductance measurements.